For a healthy immune system and more, support optimal zinc levels with Chelated Zinc from Carlson Labs. 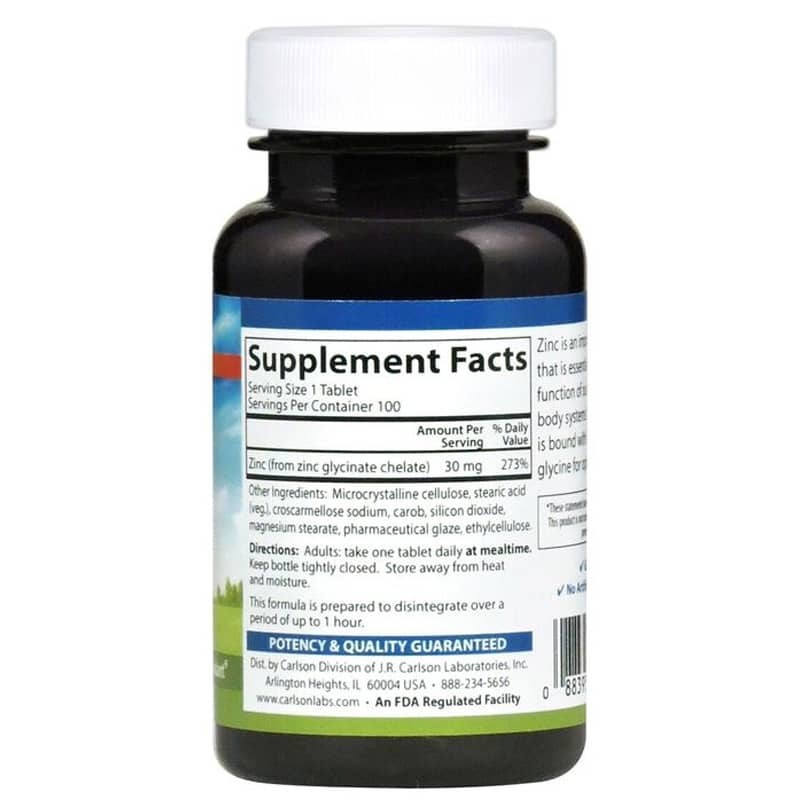 Chelated zinc provides 30 mg of zinc from zinc glycinate chelate for optimal absorption of this essential mineral. Essential for optimal health, zinc is present in every cell of the body and is a component of over 200 enzymes. It's necessary for normal skin, smell, taste, reproduction, brain development, protein synthesis and wound healing. However, one of its most important actions is its support of the immune system, where it plays many roles, including support or T cells necessary for normal immune system response. Unlike many zinc supplements, Chelated Zinc is blended with the important amino acid glycine. This chelation helps the body to transport zinc across the intestinal wall during digestion for optimal absorption into the body. 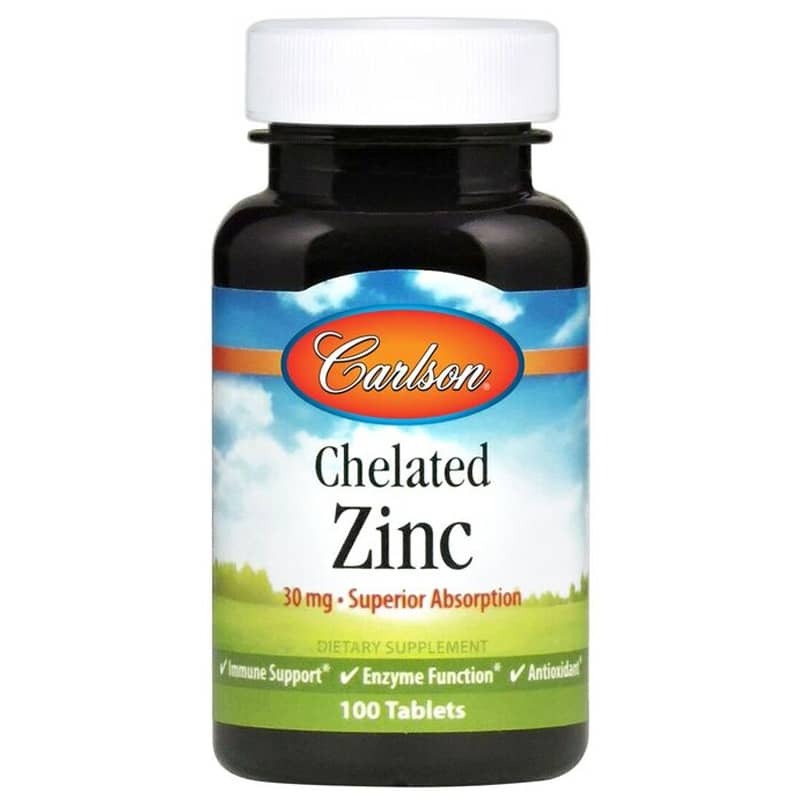 Carlson Labs' Chelated Zinc is tested by an independent, FDA-registered laboratory for freshness, potency and purity, providing you with a quality-guaranteed product. Get the zinc you need from the source your body can use. 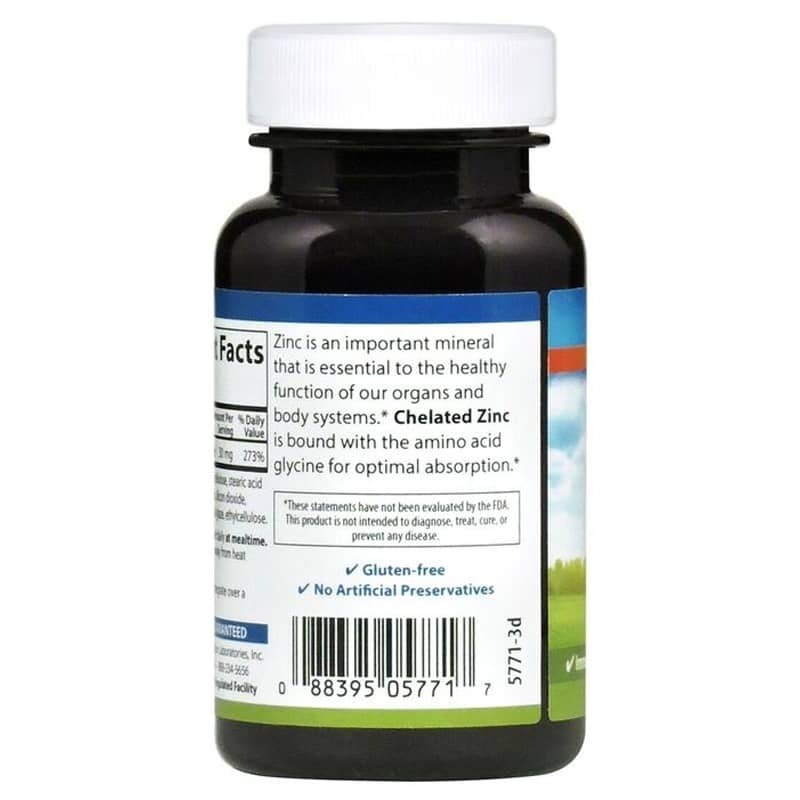 Order Chelated Zinc today. Other Ingredients: microcrystalline cellulose, stearic acid (veg. ), croscarmellose sodium, silicon dioxide, magnesium stearate, carob, pharmaceutical glaze. Adults: Take one tablet daily at mealtime.